A federal appeals court has vacated a lower court ruling striking down Texas’ plan to defund Planned Parenthood and said that undercover sting videos purporting to unmask illegal practices of the abortion giant and its partners were authentic and not doctored. A three-judge panel on the Fifth Circuit Court of Appeals struck down last week a federal judge’s February 2017 ruling barring the Texas Department of Health and Human Services from stripping the nation’s largest abortion provider of millions in Medicaid funding. The panel has sent the case back to U.S. District Judge Sam Sparks, who previously shot down Texas’ claim that it stripped Planned Parenthood of state funding in part due to the release in 2015 of the Center for Medical Progress’ series of undercover investigative videos. The videos purported to show Planned Parenthood officials discussing the illegal sale of aborted baby organs and even discussing how to alter abortions to harvest preferred tissue samples. Planned Parenthood has consistently claimed that the videos are “deceptively edited” and has even filed lawsuits in an attempt to silence the pro-life organization and prevent more videos from being released. But the court’s ruling last Thursday seems to refute the lower court’s claim that the Center for Medical Progress videos have not been authenticated. The Fifth Circuit also slammed Sparks for being “dismissive” of a report from the HHS Office of Inspector General — the agency responsible for enforcing state health care laws — outlining how Planned Parenthood of the Gulf Coast had strayed from “standards of medical ethics"
Despite citing the CMP videos, Sparks reasoned that the OIG didn’t have “even a scintilla of evidence” to justify terminating Planned Parenthood's funding. The appeals court sent the case back to Sparks, stating that he had applied the wrong “standard of review” in the case. Planned Parenthood blasted the ruling. “[I]t is completely outrageous that officials are using thoroughly discredited, fraudulent videos to try to cut women off from preventive health care, including cancer screenings, HIV testing, and birth control,” a statement from Planned Parenthood reads. The Fifth Circuit’s decision could impact abortion groups’ lawsuit against CMP in California, according to the American Center for Law and Justice. Last month, the U.S. Supreme Court declined to hear similar cases where Planned Parenthood was stripped of Medicaid funding in Louisiana and Kansas. 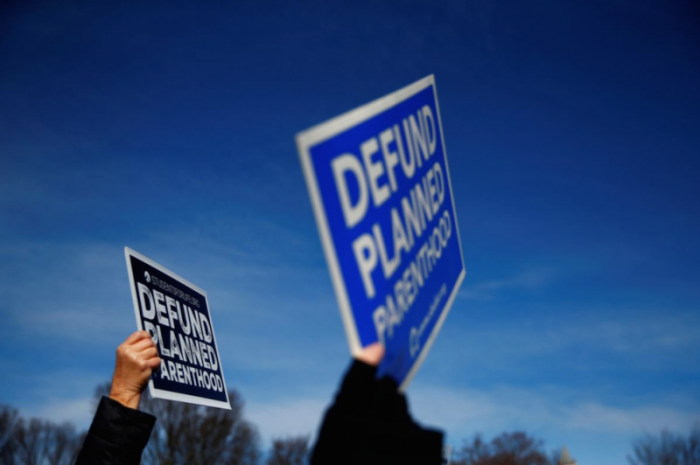 The high court’s decision leaves in place rulings that allow Planned Parenthood affiliates in those states to continue receiving Medicaid funding.